Dr. William Greene has been practicing at this location for over 40 years. Dr Greene is well-known for his superior dental skills and great knowledge. Dr. Tarik “Terry” Jbarah received his dental degree from the University of Pennsylvania in 2005 where he graduated in the top of his class. While in dental school, Dr. Jbarah was one of a few select students inducted into the Omicron Kappa Upsilon (OKU) National Dental Honor Society. Following his dental training, Dr. Jbarah completed an advanced training in Surgical and Prosthetic Implant Dentistry from New York University College of Dentistry. Dr. Jbarah spends countless hours in continuing education and is very dedicated to providing the best dental care for his patients. He is a highly skilled clinician with a warm personality and a kind heart. Dr. Jbarah is an active member of American Dental Association, Pennsylvania Dental Association, Hanover-Gettysburg Dental Society. Originally from New Jersey, He did his undergraduate at Indiana University in Bloomington, Indiana where he swam and earned my B.S. in Biology with a chemistry minor. 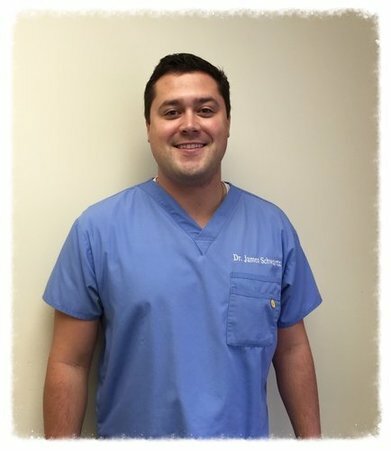 Dr Schwartz graduated in 2009 and went straight into Temple University - Kornberg School of Dentistry in the fall. He graduated in May of 2013 and moved down to Baltimore.Dr Shcwartz brings a winning combination of patient-sensitive care, a desire for excellence and attention to both technical and aesthetic detail.He is the youngest of four and proud uncle of 2 nieces and a nephew. she received her B.S. in molecular biology from Marquette University in 1999, followed by an M.S. in Biochemistry from Creighton University in 2002. She earned her DMD in 2006 from the University of Pennsylvania then in 2007 she finished her GPR Program in Lehigh Valley Hospital, Bethlehem, PA,then she earned her certificate in Endodontics from Temple University in 2010. Dr. Wibowo is an active member of the American Dental Association, American Association of Endodontists and the Pennsylvania Dental Association.